A new paragon of cultured living is set to adorn Singapores financial cityscape - Ascotts premier flagship serviced residence. 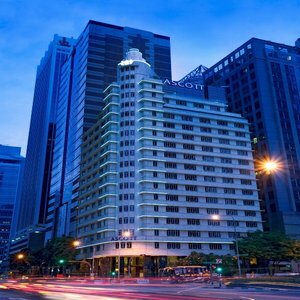 Formerly the tallest building in Southeast Asia in the 1950s- Ascott Raffles Place Singapore has been carefully restored to present a distinct and exclusive residential experience. Its Art Deco architectural facade sparkles against a backdrop of gleaming modern buildings. Inside- interiors are given a unique and sensitive interpretation by leading hospitality interior design company Hirsch Bedner Associates where timeless sophisticated design blends with heritage elements such as the original 15-storey Cutler mail chute. Elegant residences are endowed with premium fittings and high speed wireless internet connection.